House hunting can be a little intimidating, especially if you’re doing it for the first time. That’s why it can be a wise move to attend open houses when you begin your search. Open houses are a great opportunity to learn more about the local housing market and to define exactly what you’re looking for. Use these tips to make the most of open houses when you’re buying. Open houses offer an excellent opportunity to learn more about the neighborhoods where you’re interested in buying. Chat with the agent about the area and get their take about what its best features are. After having a look at the house, take a stroll through the neighborhood and notice what you see. Do residents keep their yards looking nice? Are there any vacant properties? How close are amenities? What’s the street parking situation like? Another great reason to attend open houses when you’re house hunting is to develop your priorities. Take a look at different size houses and layouts, and make notes about what you like and what you don’t like. You’ll begin to see patterns emerge, and they will help you to narrow down just what kind of house you’re looking for. Do you want a big yard or a small one? Do you respond to open concept homes, or do you prefer a smaller, cozier layout? Is it better to have a home that’s all on one level, or do you like having a second-story window to admire the view? As you’re walking through homes, imagine yourself living there. Think about what your routine is like each day. Does the layout of this home support the kind of lifestyle you imagine yourself having in your new home? Does the home feature the kind of amenities you’d like to have, like a laundry room that’s easy to access or an area where you can wash your dog? Think about what it’s like while you get ready for work in the morning, and also how you like to spend your time on the weekends. Will this house provide what you need to have a happy life there? Sellers stage their homes to make them appealing to potential buyers, but don’t let them fool you. Yes, the smell of cookies baking is wonderful – but is it hiding another, more unpleasant odor? The soft music playing might add to a sense of peacefulness, but is it covering noise coming from outdoors? How are the views out of the windows? Does the bedroom face the neighbor’s backyard where young children are playing? Use all your senses to discover what it might be like from day to day living there. 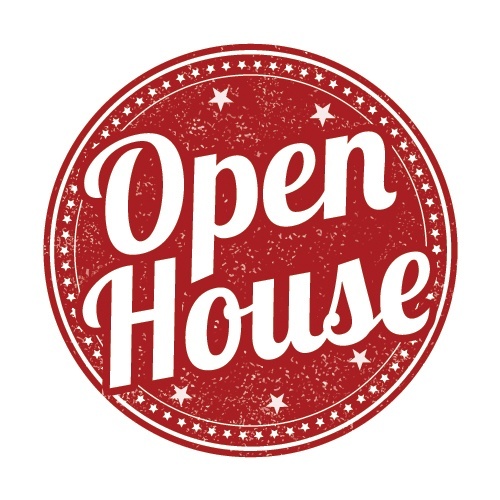 Visiting open houses will also help you to refine your expectations. After seeing many houses, you’ll have a much better understanding of how much house your money will buy. You’ll see where you may need to make some compromises and what kinds of features will be deal-breakers for you. It will ensure you’re that much more confident about making an offer when you find the house you truly love.